Having recently announced several promotions, Adelphi Research UK is growing, with the appointment of six new starters. Mike Pickering has recently joined Adelphi as an Associate Director. 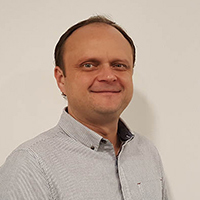 Formally from Harris Interactive, he brings over 15 years’ experience in quantitative and qualitative research from a variety of industries including public sector, charity and education. Mike has managed large tracking programmes in the past including a postal survey of around 3.5m surveys a year in 35 different markets! Outside of work he enjoys both football and golf, but most of his spare time these days involves being the family taxi driver for his children! Seb Newton joins Adelphi following a research role in the education sector. He has a degree in psychology from Leeds University. He loves to travel and has a goal of visiting the 7 modern wonders of the world; so far he has visited 4 of them. Hannah Stevenson joins the team from Adelphi Communications where she was working as an Associate Client Services Manager. Prior to this she completed the Adelphi graduate rotation scheme which involves working in five of the Adelphi companies. 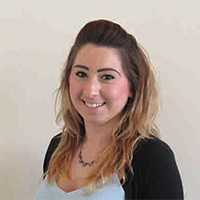 Hannah has a masters degree in health/medical psychology and a degree in criminology and psychology from Liverpool John Moores University. 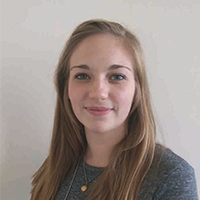 Frankie Trewartha joins Adelphi from Leeds University where she completed an integrated masters degree in biological sciences. During her time at Leeds she spent a year in a research laboratory. Outside of work you’ll find her baking and eating cakes. 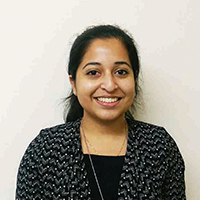 Priyanka Uthup joins the team after completing a degree in biology at Manchester Metropolitan University. She has carried out exchange programmes in China and Hong Kong and has also completed two research internships in novel antibiotic discovery. In her spare time Priyanka works on improving her language skills in Mandarin. 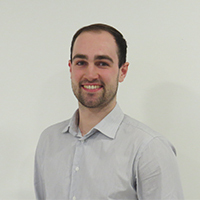 Patrick Phelan joins Adelphi following completing a degree in biochemistry at the University of Leeds. He had his mind set on a career in the pharmaceutical industry and has a passion for research. In his spare time he plays a lot of cricket, basketball, football and golf and is a season ticket holder at Everton FC. Adelphi Research UK is a dynamic healthcare insight partner that blends robust primary market research with a consultancy approach. Insight experts in a range of tried and tested as well as innovative, digital and co-creative methods, Adelphi’s team has extensive access to UK HCPs, Payers, Patients and Policy Makers.